Properties in Big Island average 4.7 out of 5 stars. Property 3: KKSR2204 DIRECT OCEANFRONT CORNER UNIT!!! 2nd Floor, Wifi, BREATHTAKING VIEW! Property 6: KJ’s Place, in the heart of the city. Property 9: Just Steps to White Sands Beach, Affordable Tranquility! 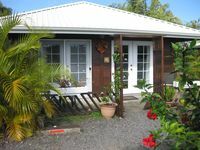 Property 10: Off the Beaten Track On the Island of Hawai`i! Property 11: Your Hawaiian Vacation Starts Here! II ~Renovated Condo! Property 12: Awesome location, beautiful 2 bedroom, 3 BATH! Downtown Kona. Family friendly! Property 17: The eruption ended.. blue skys and the best weather in 20 years ! Property 20: Fabulous view! Newly Renovated: Almost Oceanfront without the Oceanfront price! Property 23: Song of 'Apapane Volcano Retreat - in Volcano Village, Hawaii! Property 28: Updated 2 Bedroom Condo Walk to the Beach & Shops. Property 40: The Bali House~Romantic Oceanfront Escape w/Hot Tub across from Kehena Beach! Luxurious 2 Bedroom Golf Condo At Ocean Front Resort Best Value! 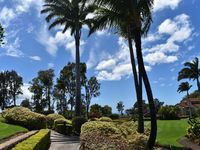 Property 43: Luxurious 2 Bedroom Golf Condo At Ocean Front Resort Best Value! Property 45: Watch the Whales from comfortable penthouse apartment! Property 46: Your Hawaiian vacation starts here! Property 47: Quite, A-frame log home. Nestled on 2 acres of fruit trees and flowers. Property 49: Exotic Orchard On Ocean Cliff! Waterfall/ Ocean View Takes Your Breath Away! We loved staying in this unit at Waikoloa Village-- the whole condo has been updated as the photos show. The only difference was the washer/dryer unit--they now have new appliances, with detergent and dryer sheets supplied of course. We also appreciated the must-haves for the beach-- beautiful Tommy Bahama umbrella and folding chairs (pleasure to use, you'll know what I mean when you see them), boogie boards, cooler, towels. Head to Hapuna, Mauna Kea, or any other beach! Timothy is also easy to reach and informative-- there happened to be a bit of maintenance (vent cleaning) going on the week of our stay. He actively reached out to make it the least bothersome for us. They came in the morning while we were still getting ready to go out so it wasn't a problem at all. Thanks for providing a fantastic home away from home-- hope to stay here again soon!